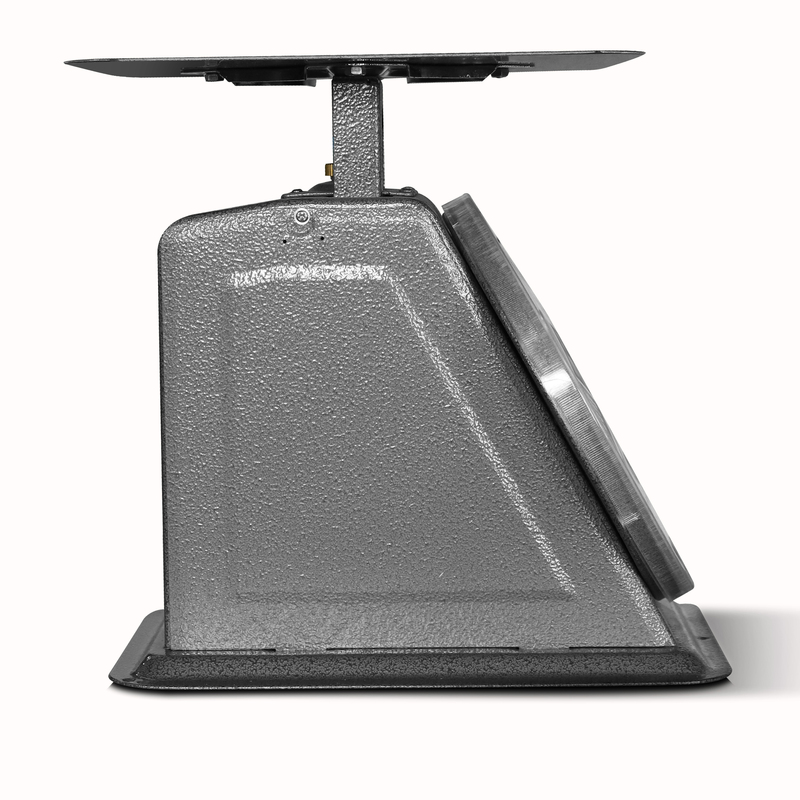 The P-22 (22 pounds) model is a heavy duty top loading commercial style spring scale that shares the same footprint as the P-44 and the P-100. They all have an 8″ dial and 9-1/2″ square stainless steel platter. They have powder coated steel bodies that provide a strong, durable finish that is easy to clean and resists chips and scratches. These scales are perfect for areas without electricity or for users who prefer a reasonably priced mechanical scale.